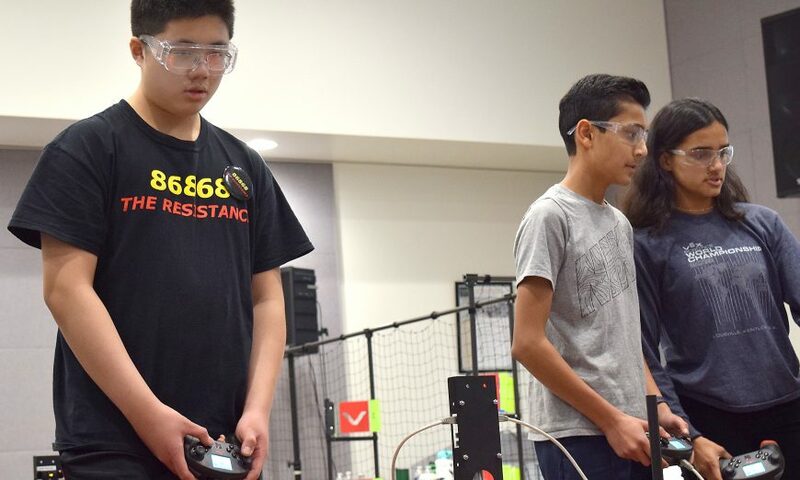 Santa Clara’s “The Resistance” team was named the 2019 California Central Coast VEX “Turning Point” Tournament co-champion — a regional qualifier for the California State Championship — held at Cal Poly edging out 42 other teams from 19 middle and high schools across the Golden State. In addition, “The Resistance” of Nibot Robotics, earned the Robot Skills Champion honor, garnering two of the tournament’s five top awards. The Robot Skills award is presented to the team with the highest combined Programming and Driving Skills Challenge score. “The Resistance” scored a tournament-high 22 points in the Driving Skills category and 15 programming points, a combined score that was more than double the next closest competitor. The team also qualified with both of these awards to compete in the VEX California State Championships, where the top teams from across the state will compete to qualify for the VEX World Championships in Louisville, Kentucky. The tournament held Jan. 18-19 was hosted for the ninth consecutive year by Cal Poly Society of Women Engineers and San Luis Obispo High School. In VEX competitions, teams are randomly paired with another team to compete against other two-team alliances. 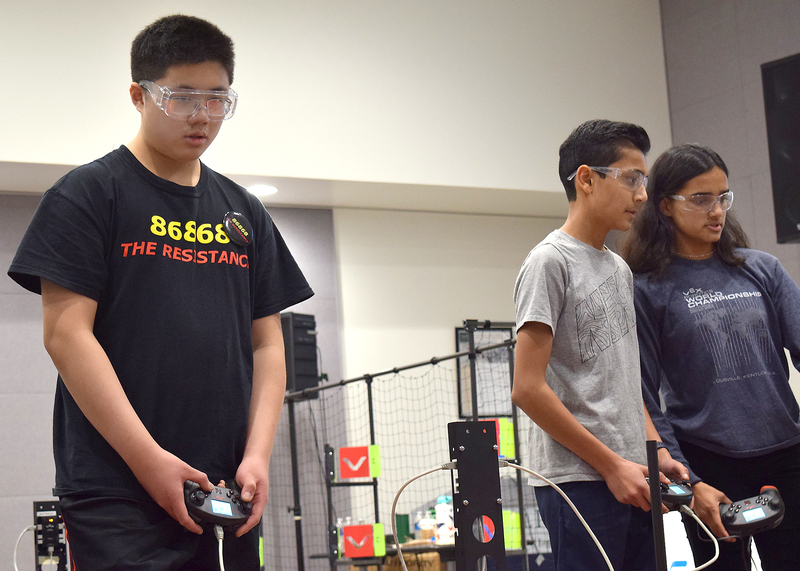 “The Resistance” paired with 920C, a team from San Luis Obispo High School, to win the tournament following some 72 grueling qualifying rounds. The alliance easily handled the competition, winning 25-10 in its quarterfinal match, 30-3 in the semifinals and 18-7 in the finals. Elwell, a VEX alumna from Bakersfield who chose to study Computer Engineering at Cal Poly after meeting College of Engineering volunteers when she competed as a high school student in 2014 and 2015 at the Cal Poly hosted tournaments, said the daylong event was a success.